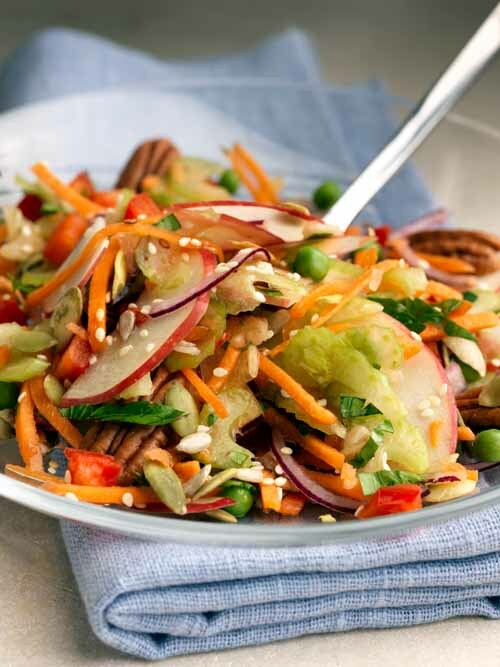 People say we should ‘eat the rainbow’, and you can with this Rainbow Salad. Red, green, orange, purple and yellow are all present in this colourful and healthy dish. 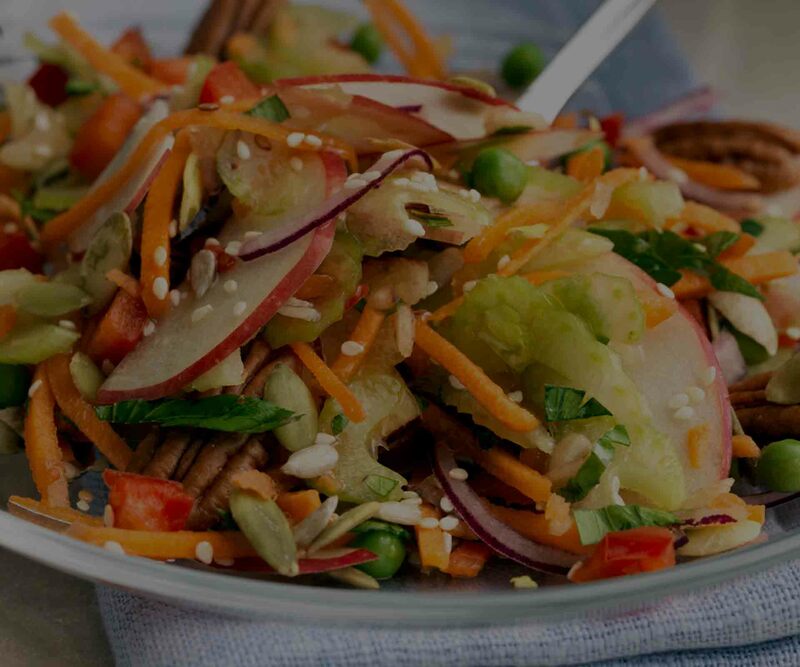 Since every colour represents a different nutritional benefit, you know that by eating this salad you’re getting a balanced meal! Furthermore, if you’re a fan of fruit in salads, the apples add a perfect amount of sweetness to the dish – and it’ll keep the doctor away! Carrots, peppers, celery, apples, cucumbers, red onions, parsley, pumpkin seeds, sunflower seeds, olive oil, organic lemon juice, sea salt, black pepper.